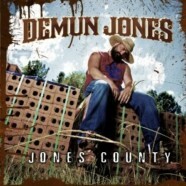 With Rehab recently split and going in solo directions, Demun Jones has released his latest solo record, Jones County and it’s bound to make longtime Rehab fans very happy while welcoming in a completely new group of fans at the same time. Jones opens with “Boondocks,” which is loaded with country lyrics with some insane rap beats and rap skills that can stand with the best of them. This is country rap that should be taken seriously and “Country Fried” keeps the party going while being very Rehab-reminiscent in the instrumentals on the verses. “Dixie Dimes” is club worthy with psychedelic backing instrumentals and “Tannerite,” much like “Country Fried” will make Rehab fans happy. “The Muddy Muddy” starts with a country fried banjo riff before ripping into a dance/rap infested, intoxicating epic that’s a perfect fit for the next night you go cruising and is bluegrass-meets-hip hop. “Rahhh” is a fun jam in itself and is worth more than one listen while “I’m a Man” is as close to Rehab musically as Jones gets on this record and is also very personal with Jones talking about growing up and what being a man is to him. “Chrome” is very country, opening with a fiddle and pounding guitar but with hitting rap lines, talking about everything needing to be chrome on your ride. The steel guitar (or is it chrome?) is vague but present and is an all-around impressive song. “11 11” features Bubba Sparxxx and LoCash Cowboys and is everything you’d expect from the southern-fried triad including pounding country guitars with country rap courtesy of the man who found Ms. New Booty and the part of the rap genius behind Rehab. Jones closes with “White Trashed and Rednecked,” which is the most country song on the record and is his solo “Drinking Problem” or “Sittin’ at a Bar” and is what country life is all about. When it’s all said and done, Demun Jones has come out swinging as a solo artist and, while you have to expect there to be a prominent Rehab presence with how long they were together, but Jones doesn’t cling to it and expands his horizons on Jones Country, making for a fun experience for the listener and it’s clear he will be gaining a whole new fanbase with this record. So crack open a beer, light up a joint, yell “Rahhh” and get ready for one of the best releases of the year.